Dr. Adams graduated in the top 10 percent of his class from Palmer College of Chiropractic, the founding College of Chiropractic, in 1996. He pursued his undergraduate studies at Colorado State University with a Bachelor of Science Degree in Exercise and Sports Science, with a concentration in Sports Medicine. Dr. Kurt Adams is a licensed Chiropractor and has practiced in Alaska since he graduated. He is certified by the National Board of Chiropractic Examiners and is also Board certified in Physiotherapy. He is a member of the American Chiropractic Association and the Alaska Chiropractic Society and has been recognized in Outstanding Young Men of America. As a specialist in the treatment of the spinal column, Dr. Adams is particularly interested in the treatment of sports-related injuries to the spine, shoulders, arms, legs, and hips. Dr. Adams also specializes in injuries caused by a motor vehicle crash. He holds an Advanced Certification in Whiplash Traumatology from the Spine Research Institute of San Diego. Dr. Adams has a personal and professional experience with disc herniation’s, having herniated a cervical disc himself while playing rugby. Active in sports his entire life, Dr. Adams has engaged competitively in football, rugby, wrestling, track, and body building. His appreciation of the outdoor lifestyle, including fishing, hunting, and mountain biking, has drawn him to Alaska. Family life is central to Dr. Adams’ life. He is married to Dr. Tawnia Adams, a nationally renowned Chiropractic Radiologist. Together Drs. Kurt and Tawnia Adams strive to help each other achieve excellence in Chiropractic and make a positive contribution to their profession and to this community. They have three wonderful children, two boys and a girl: Greyson, Hudson, and Carson. 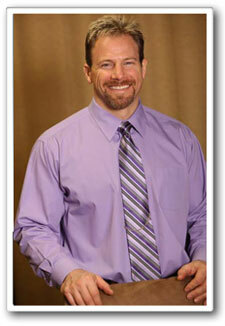 Contact Bilan Chiropractic now to schedule an appointment with Dr. Kurt Adams.